Updated: 2009-07-11. Something not right? Please update the information. Hiking trails, formal campfire circle, chapel, pioneering supplies, archery, riflery, low ropes course, bouldering, rock climbing, rappelling, mountain bike trail, mountain bikes available, volleyball, fishing, snorkeling equipment, sailboats available, lake frontage, canoeable water, canoes available, kayaks available, section summer camp program. The Drag Lake area of Haliburton Scout Reserve was sold in June 2009. 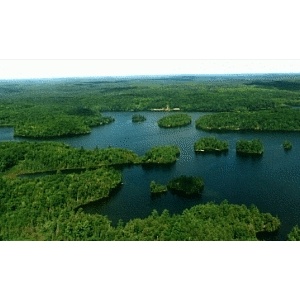 HSR is a beautiful piece of Canadian Shield with 13 sparkling lakes and a multitude of birds, fish, and animals. Centred around Kennabi Lake are 23 campsites accessible by water. Your seven-day summer camp offers a wide choice of land and water activities provided by trained staff. Miles of marked trails give you access to uninhabited wilderness. Clean outdoor washrooms, emergency telephones, row boats, and canoes are standard features of each site. Sailboats, kayaks, and regatta boats are also available.